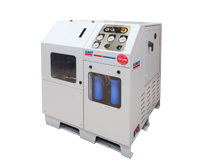 The most reliable, most powerful ultra-high pressure waterjet intensifier pumps available. 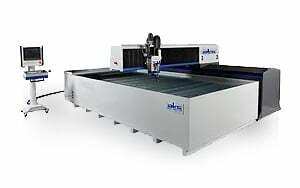 KMT is the exclusive supplier to AKS waterjet cutting systems. 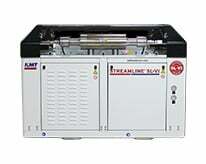 KMT is the leading provider of high pressure waterjet pumps and cutting accessories. 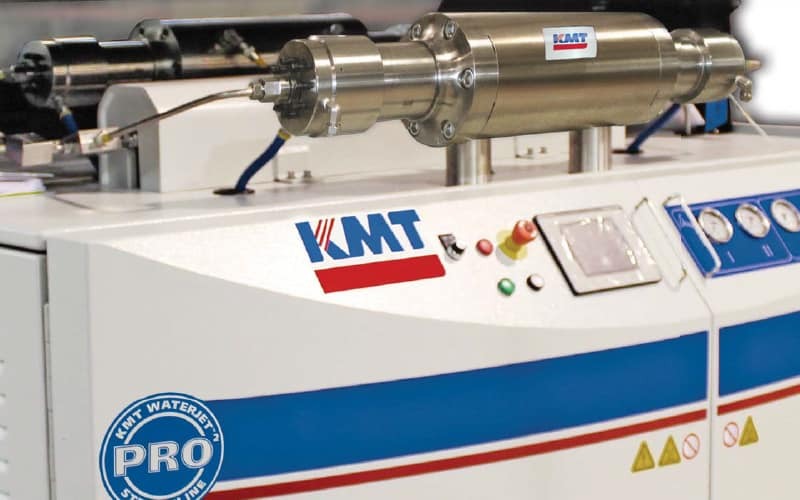 For over 40 years, KMT Waterjet has been providing waterjet cutting pumps and components to a global network of waterjet table cutting systems integrators who offer entry level to advanced, reliable waterjet machine systems that offer a clean, precise cut on time, every time. 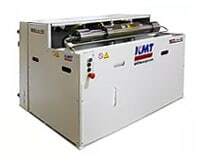 The power of water cutting has been harnessed and refined so that KMT Waterjet pumps and the OEM table systems will many materials. 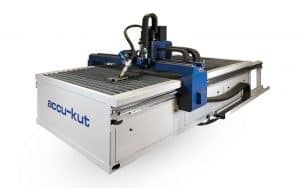 Cut aluminum, stainless steel, Inconel, titanium, and other exotic metals as efficiently as possible with KMT Waterjet Systems, bringing true value to the end user—you. The PRO-III 90,000 psi / 125 hp pump cuts twice the material in the same time as industry standard 60,000 psi / 50 hp cutting speeds. 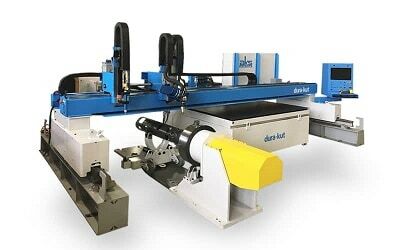 The fastest cutting capability for thick metals including steel, stainless, titanium, and aluminum. 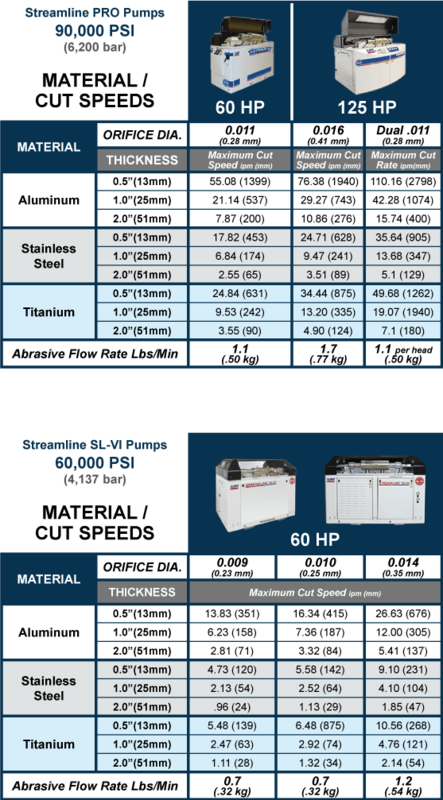 Powerful 60,000 psi avialable with 30, 40 or 50 hp pump. Choose the size that fits your exact specifications and immediately see the benefits of better performance. The latest technology and innovative configurable design for ease of use, reliability and convenience. 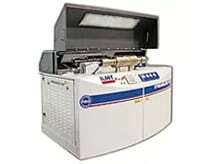 A system that delivers the highest efficiency and the lowest cost. 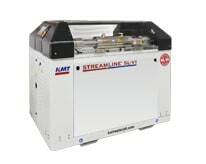 The 55,000 psi / 40 hp KMT Waterjet NEOLine™ 40i Pump is the Low Cost Option for Multiple Waterjet Cutting Applications. 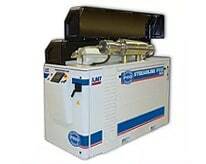 The 55,000 psi / 30 hp TRILINE offers the alternative direct drive / crank shaft pump technology with lowest purchase price, low cost of ownership, superior pressure signal, simple design, and ease of maintenance while providing the first time user an economical investment.